Good morning! 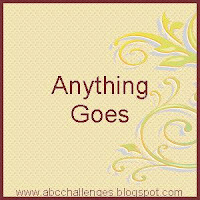 This is the card I made for the ABC challenge blog and this week's challenge is an anything goes challenge. I figured with Christmas right around the corner I would make a Christmas card plus I wanted to use one of my new stamp sets. 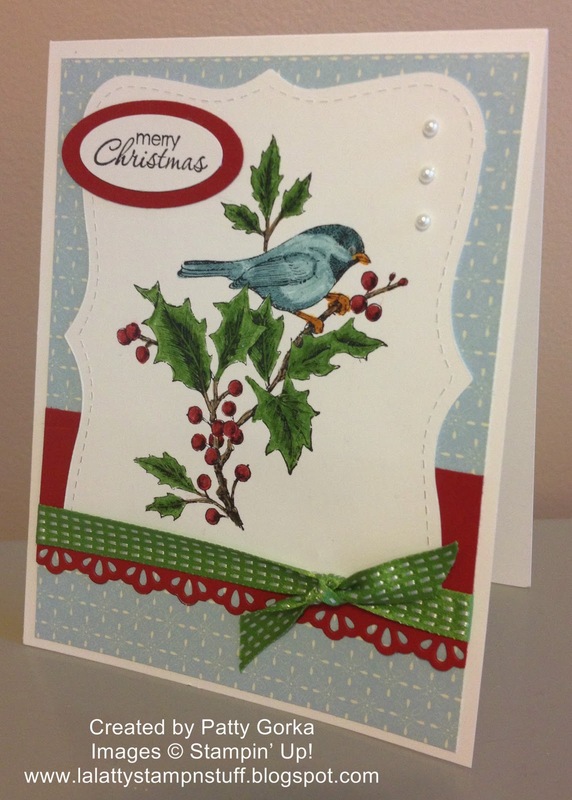 I began by cutting out a top note die shape and then I stamped my image and colored it using my SU markers. The bottom part of my cherry cobbler card stock was die cut using the finishing touches edgelits. And to complete my card I stamped my sentiment and layered it using oval punches and then I added three small pearls on the upper left side of my image panel. That's about it for today, I kept my card easy and it was quick too! 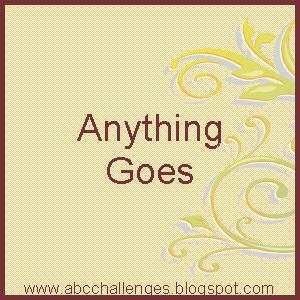 I hope you'll join us and play along this week over at my new challenge blog ABC Challenges! Have a great rest of the day! What a beautiful card, the bird looks awesome! Patty this is just gorgeous and so beautifully crafted. Love how everything work so well together. Wishing you a wonderful Tuesday.